Macclesfield is one of the oldest and most picturesque boroughs in the county Palatine of Chester. As far back as the year 1260 it was incorporated by King Edward I., when he was Prince of Wales and Earl of Chester. The parish church dedicated to St. Michael was built in 1278 by Eleanor of Castile, Queen of Edward I., who was the Royal Lady of the Manor. The Archbishop of Canterbury held an Ecclesiastical Council in the church of St. Michael in the year 1332, and again in 1362. The ‘pardon brass,’ which is shown to visitors, is a relic of a superstitious age. It was granted by the Pope of Rome in 1484, to Roger Legh and Elizabeth, his wife, of Lyme, and declares that ‘the pardon for saying five paternosters and five aves and a creed is 26,000 years and 26 days of pardon.’ On the left of Earl Rivers’ tomb are two circular holes in the wall, the one nearest to the monument being the hiding place for the sacramental vessels, when not in use. The other hole is known as ‘The Holy Sight,’ which permitted penitents, during their period of excommunication, to see the communicants partaking of the sacramental elements at the high altar. In the days of Queen Elizabeth, a strongly bound copy, in three Volumes, of Fox’s ‘Book of Martyrs’ printed in black letter, was chained to the reading-desk to he read by the worshippers during their leisure. The Grammar school was founded by Sir John Percyvall. From being a poor boy in Macclesfield he gradually rose until he became Lord Mayor of London. The school seal is of an oval pattern. It contains a representation of an Eastern-looking schoolmaster seated on a form, bearing in his right hand in an elevated position a huge birch-rod. With the left hand he is supporting a large book upon his knee. Christ Church was opened on Christmas-day, 1775. Two years later Wesley occupied the pulpit, and wrote: ‘The new church here is far the most elegant that I have seen in the kingdom.’ It was built at the sole expense of Mr. Charles Roe, cousin to the saintly Hester Ann Rogers. He had married a London lady, who was a Methodist. The organ at Christ Church had belonged to Handel, and had often been played by that extraordinary musical genius. Wesley describes its ‘low, soft, solemn sound, as being just like that of an AEolian harp.’ The Rev. David Simpson, author of A Plea for Religion, was the first incumbent. He was a preacher of considerable repute. It is said that ‘The Church was generally crowded with a serious and attentive audience to whom, under God, he was made uncommonly useful. When the weather was in any degree favourable, numbers attended to hear him from the adjacent country, frequently from the distance of six, eight or ten miles; and that not merely on extraordinary occasions, but during the entire period of his ministry. For many years he frequently visited the neighbouring villages, and where the churches were closed against him he delivered the Gospel message in private houses or in the open-air. On these occasions his sermons were remarkably plain, pointed, short, and powerful. 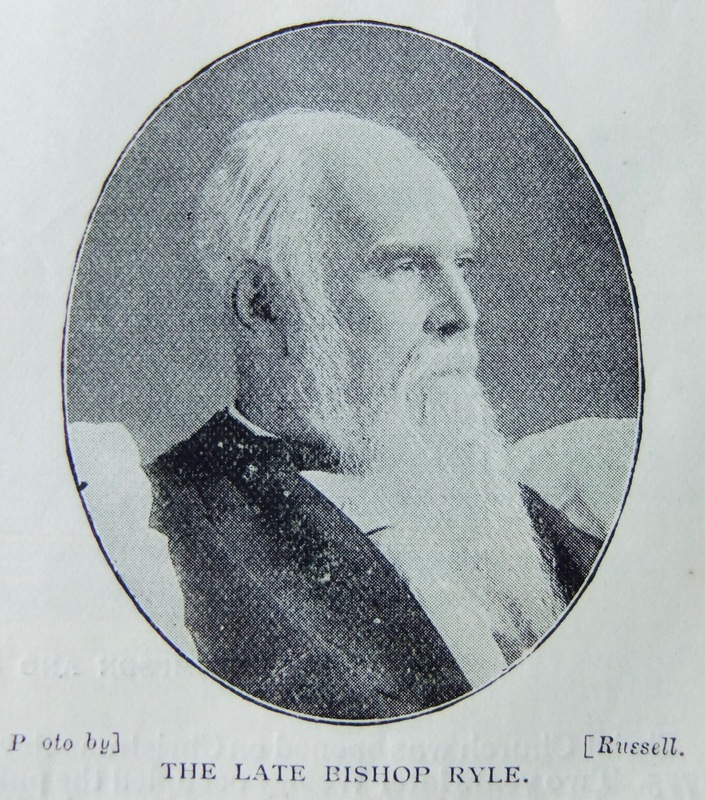 Hundreds were awakened and began to inquire the way to Zion, while the dormant principles of religion throughout the country received a new and mighty impulse from his pulpit ministrations.’ Mr. Simpson was succeeded in the incumbency by the Rev. Melville Home, who had previously been a Methodist minister, and who also had been curate for the seraphic Fletcher, of Madeley. The incumbency of Christ Church was offered to Dr. Jabez Bunting during his probationary ministry at Macclesfield, with the promise that if he accepted he should be admitted to Episcopal orders. This tempting offer the future president of the Wesleyan Conference and moulder of Methodism respectfully declined. John Wesley preached for the first time ‘near Maxfield’ in November, 1745, and two years later he preached his first sermon in the town. Wesley was greatly attached to the Macclesfield Methodists. He visited the town on twenty-seven distinct occasions, and for fifteen consecutive years he paid an annual visit. By the end of the eighteenth century Macclesfield had become a stronghold of Methodism. The progress of the movement had been largely helped by the twenty-five years’ evangelical ministry of David Simpson, the saintliness of Hester Ann Roe, the prayers of ‘Nanny’ Cutler, and the godly enterprise of Alderman John Ryle, the first Methodist Mayor, and grandfather of the late Dr. Ryle, One writer, in speaking of Macclesfield Methodism, says: ‘Nowhere had evangelical principles more leavened the population; nowhere had Methodism exhibited a nobler type – a type in which fervour and sobriety, thorough appreciation of the spiritual elements of religion, and practical observance of its ethics commingled in beautiful proportions.’ The esteem in which the circuit was held Connexionally is manifested by the high mental and spiritual qualities of the ministers who were appointed thereto. In 1798 Richard Reece, George Marsden, and Jas. Townley were stationed there. Four years later the circuit was under the care of Joseph Entwistle, George Morley, and Jabez Bunting. Each of these eminent ministers, along with eight others, who held Maccles?eld appointments, subsequently became in turn Presidents of the Wesleyan Conference. Amongst the earliest of the Macclesfield Methodist converts was Mrs. Ryle. She was seated on ‘a bakestone’ in a cottage when she heard for the first time a Methodist preacher. The word was with power, and changed the current of her life’s career. Her son John took a foremost position in the ecclesiastical and civic life of the Borough, and her great-grandson became the first Bishop of the diocese of Liverpool. Mrs. Elizabeth Clulow was another early and distinguished convert. She was one of the witnesses of John Wesley’s last will, which had been prepared and attested by her son, Lawyer Clulow, who also drafted the ‘Deed Poll,’ the Magna Charta of Wesleyan Methodism. 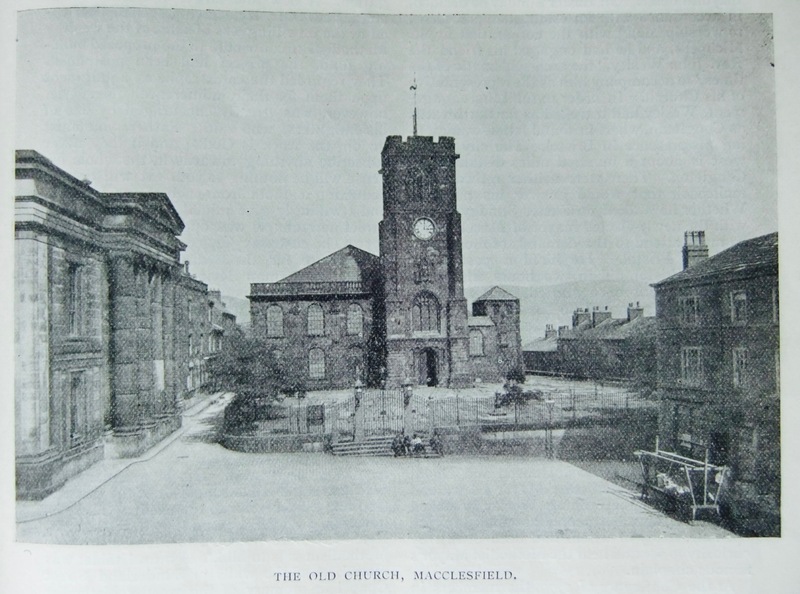 In the year 1762 Macclesfield Methodism was favoured with an outpouring of the Divine Spirit, and a large number of converts were added to its ranks. The meeting-house then was an old and unpretentious stable, which was too small to hold the increasing congregation, and it was decided to erect a more commodious place of worship. Mr. John Ryle offered to give the building-site, providing Mrs. Clulow, who was a lady of wealth, would undertake the financial responsibility of paying the workmen’s wages. In 1764 the foundation-stone of the new chapel was duly laid. The site of the proposed chapel was far from being central. It was situated on the Commercial Road, and adjoining the enclosure which is now used as the Town Yard. This building project was strongly resented by the ungodly, the profligate, and some of the church-going people, who determined that, if possible, the Methodists should not have a meeting-house in their midst, because they had strongly condemned dancing, hunting, racing, and the questionable pastimes of the age. The lawless band were led by a man of the name of Hall. During the darkness of the night they threw down what had been built during the day-time, and otherwise scattered and damaged the building material. This work of destruction having proceeded for some time, some of the superstitious towns-people believed that it was the work of Satan, who in previous centuries was said to have interfered with the building of churches, abbeys, and monasteries. Mr. John Ryle and his confederates were not blindly superstitious. While they knew full well that Satan had a hand in the wholesale destruction, they believed that he was being assisted by human agents. Accordingly they watched, and one night they met the delinquents face to face while engaged in the act of despoliation. These nefarious men having been found out, and dreading imprisonment, desisted from their cowardly and destructive work. This small and unadorned meeting-house was consecrated by praise and prayer to the service of God, and it became the birthplace of many immortal souls. At the early hour of five o’clock, on a spring morning in the year 1774, Hester Ann Roe entered the diminutive Methodist Chapel. It was her first visit and she selected a seat where she would be the least noticed. This highly-educated and cultured young lady of nineteen summers was the daughter of the late clergyman of St. Michael’s Church. 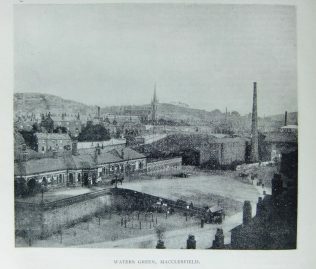 Her uncle, Mr. Charles Roe, was the leading silk manufacturer in the town, and the first gentleman in Macclesfield who owned a private carriage. 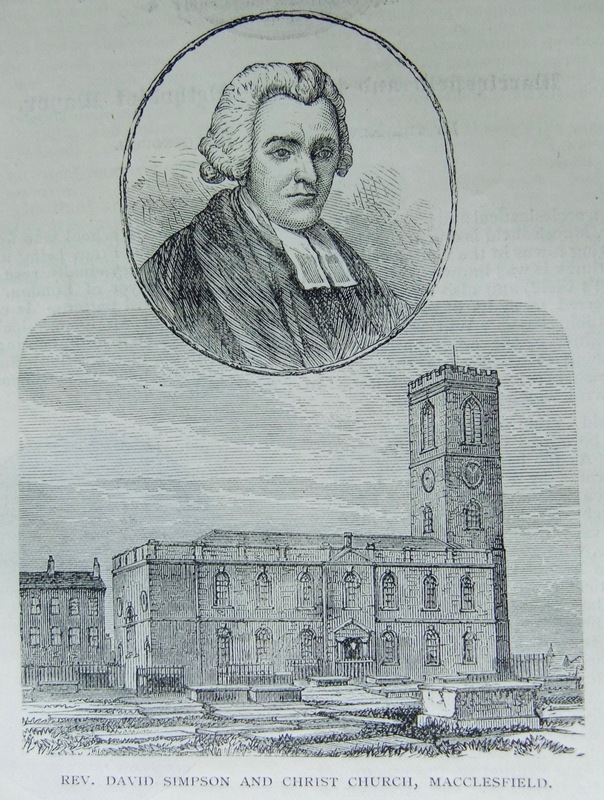 The preacher that morning was the eccentric Samuel Bardsley, who was known as ‘a brown bread’ preacher. His text was ‘Comfort ye, comfort ye my people, saith your God.’ To Miss Roe it seemed as if the Methodist divine was secretly acquainted with her previous life of gaiety, the inner workings of her mind, and the deep longings of her soul for peace, pardon and purity. At that service her prejudice against the Methodists disappeared like mountain mists in the presence of the rising sun. She retired from the chapel inwardly saying: ‘These are the people of God, and they show in truth the way of salvation.’ In prayer before the enthroned King, she determined that at all cost she would unite herself in fellowship with the despised Methodists. Her widowed mother was greatly enraged when she knew that Hester Ann had been to hear the Methodist preachers. She wanted her daughter solemnly to promise that she would never again degrade herself, and disgrace her family, by entering the Methodist Chapel. This request she firmly refused, and consequently would have been driven from home had it not been for her uncle Roe. Eventually Mrs. Roe consented to her daughter remaining at home as a menial servant, thinking that thereby the drudgery and hardship of the kitchen would subdue her will, and drive the Methodist notions from her mind and heart. In the year 1776, at the hospitable home of Mr. John Ryle, Miss Roe was privileged to have a conversation with the Rev. John Wesley on divine things. He became so deeply interested in the spiritual welfare of the young lady that he subsequently wrote her a long letter on the subject of personal salvation. In 1784, she became the wife of the Rev. James Rogers, and for over twenty years she was a true helpmeet in his circuit work. Wesley died at City Road, London, in the preachers’ house, which at the time was occupied by Mr. Rogers. His saintly wife was privileged to minister to the needs of the aged Evangelist. Mr. and Mrs. Rogers, along with their little son, James Roe Rogers, were in the privileged group that were gathered around Wesley’s couch when his spirit passed to the unseen and eternal world. The biography of Hester Ann Rogers has become a Methodist classic, and is devoutly read by the spiritual-minded. By the year 1774, Alderman John Ryle, although once a despised Methodist, had by his moral integrity gained the highest confidence of his fellow townsmen. In that year he had been elected mayor of Macclesfield, the appointment taking place not in November, but in the month of March, as was the general custom in those days. He is said to have been the first Methodist who occupied a mayoral chair. On Easter Sunday he decided, in accordance with an established precedent, to worship along with the corporation at St. Michael’s, and he had engaged his friend the Rev. John Wesley, ‘the archr-schismatic of the times,‘ to accompany him as the representative of his Church. In order to fulfil the engagement, Wesley had travelled as far northwards as Congleton, where he found letters summoning his presence in Bristol. The city of the west is about a hundred miles distant from Congleton. There were neither railways nor mailcoach that would answer his purpose. Whether he walked on Easter Sunday or not with the newly-elected mayor of Macclesfield, he must attend to the demands of the Lord’s work in Bristol. He hired a postchaise, reached Bristol, did in two hours what was needful and at once started back for Congleton. He preached on the Saturday evening to the little flock of Methodists in the Cheshire town. On Sunday morning the corporation, clergy, and gentlemen of the town were waiting for the Mayor’s instructions. The procession was being marshalled, and no Mr. Wesley was present. Just at the last moment he arrived from Congleton, and to the astonishment of the inhabitants he joined the procession. In company with the Revs. Henson and David Simpson and a Methodist Mayor he walked to church. In the evening Wesley preached to several thousand people assembled in the open air, many of whom had been drawn by curiosity to see and hear the Methodist Mayor’s famous Chaplain.